Under radical new NHS plans, all women and their partners will be screened to see if they smoke during pregnancy. The NHS will offer all women a carbon monoxide screening test at the 12 and 36 weeks stage of pregnancy in a bid to persuade thousands to give up the habit. The routine screening will come into effect in July. One in 10 women, around 65,000, smoke throughout their pregnancy. 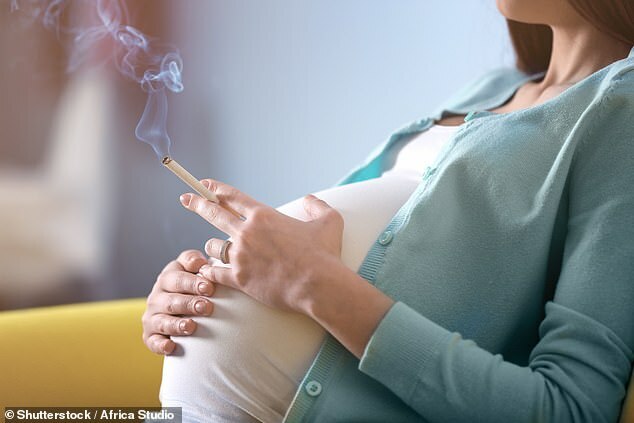 As well as the pregnant women, their partners will also be asked if they smoke as second hand smoke can be a contributing factor to stillbirths and complications during birth. Smokers will be retested at every appointment and even offered specialist help to quit within 24 hours. Doctors currently ask women and their partners do they smoke during pregnancy, but not many admit to it. The initiative is part of a drive to cut stillbirths, and numbers of smokers, in the UK by 50% by 2025. Stillbirth: What is it and what increases the risk? A stillbirth is when a baby is born dead after 24 completed weeks of pregnancy. It happens in around 1 in every 200 births in England. Matt Hancock, the health secretary, told The Sunday Times that whilst a record low number of women are smoking during pregnancy, too many still suffer the tragedy of a stillbirth due to smoking. Some hospitals in the UK already offer smoking tests at 12 weeks but now they will be ordered to do so at 36 weeks as well as 12. The charity Tommy’s, who research into miscarriage, stillbirth and premature birth, said that the risk of a stillbirth is 52% higher in women who smoke 10 cigarettes a day. Clare Livingstone, professional policy adviser at the Royal College of Midwives, said reducing the rate of smoking during pregnancy is critical in lessening stillbirths in the UK. She told The Sunday Times that it is ‘one of the key things that has to be done to reduce’ the tragedy. She said it can’t be achieved without ‘significant investment in specialist services’ and that he organisation she heads is ‘pleased’ with the new initiative. ‘The pledge to support and encourage pregnant women’s partners who smoke to also stop is particularly welcome,’ she added.